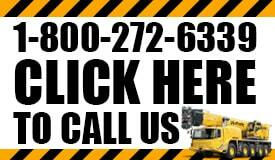 What is a fair price for hydraulic crane rentals in Virginia? You are researching that right now because you need to hire a subcontractor to handle an important part of your construction job. However, while price is a very important aspect of your decision, it should never be the main factor in who you go with. When you want to rent a crane you are renting more than a machine, you are renting an entire team and it’s the quality of work that the team will do that should be looked at, not the price. How long will it take them to complete the task? How much assistance will be needed? Will they get the project done right and safely? These are the real questions that need to be asked much more than what equipment they have available. However, machinery can also play a role in your decision. If you have a project that requires something more like rough terrain, smaller areas to work with or some heavy-duty lifting then you need to make sure that the company you are looking at can handle those needs. Finding a single agency that can handle any of your projects regardless of size and level of difficulty is a great advantage. Finding one that also offers affordable prices as well as outstanding work is the kind of thing that can help make an entire job much easier on you. 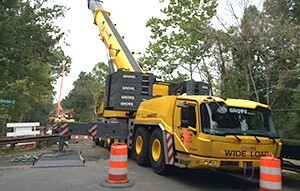 Not only does VA Crane Rental pride ourselves in delivering the best quality service in Virginia, but we also are happy to offer affordable rates for hydraulic crane rentals. It’s important to make sure that when you hire a company you are both on the same page as far as expectations, time and budget which is why we offer a free on-site consultation to ensure that you are getting the information you need prior to having to make a decision.